On August 3, 2016, it was announced that skateboarding would make its debut in the 2020 Olympic Games in Tokyo. The reaction from the skate community was mixed. For some, it was the ultimate validation that our favorite pastime is now a part of the biggest sporting event on the planet. For others, it was the final step on our underground subculture’s path to the mainstream. Whichever side of the fence your opinion lies on, the bottom line here is that it’s happening. For an entire year following the announcement there was an extreme lack of information. But this year things are starting to happen: World Skate struck a sanctioning deal with SLS to become part of the qualifying system for the Olympic Games; Brazil announced its national Skateboarding team; and we’ve even seen new world-class skateparks pop up in China and the Netherlands. But what does all of this mean? As someone who’s been writing about skateboarding everyday for over a decade, I feel like I should have a much better understanding of how Olympic Skateboarding will work, and how it will affect our culture. With that in mind, I connected with Josh Friedberg to get some answers. Josh is a former pro skater and you may remember him as one of the founders of 411 Video Magazine. He’s now the Skateboarding Director of World Skate, the IOC-recognized international federation governing skateboarding and the CEO of USA Skateboarding. Needless to say, I learned a lot from our conversation about the logistics of introducing skateboarding as an Olympic event via Tokyo 2020. 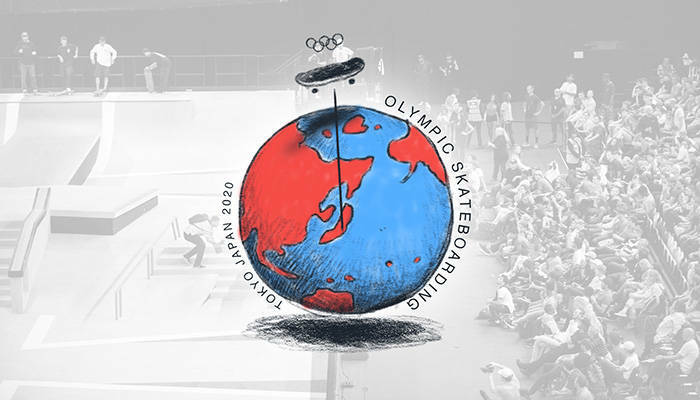 With hundreds of government-sponsored skateparks set to pop up around the globe over the next two years, and skateboarding slated to be one of the first events of the 2020 Games which has an estimated audience of five billion people, there’s no denying the impact that the Olympics will have on our world. Get ready… it’s coming. My understanding is that ISF [International Skateboard Federation] partnered with FIRS [Federation of Roller Sports] to form World Skate, which now has sanctioned SLS events for the run-up to the Olympics. Can you explain the basics of how this will work in terms of qualifying for skating in the 2020 Tokyo Games? The ISF and FIRS joined forces following some statute changes and FIRS re-branding as World Skate in September 2017. In terms of the Olympics path, we submitted our qualification system to the IOC last year. It was approved this March. Skaters are going to have a chance to earn points through events over two seasons. The 2019 season runs January 1, 2019 through September 15, 2019. Then, the second season begins September 16, 2019 and runs through May 31, 2020. So there’s two nine-and-a-half month seasons that are going to be chances for skaters to earn points. We will be announcing all the point-earning events later this summer, but they’ll include regional events like national and continental championships along with professional-level events so everyone who wants to will have a chance to participate. For the Olympic qualification process, we’ll take the three highest point totals from the 2019 season and add them to the six highest totals of the 2020 season. That will establish a final ranking. Then, from there, you have to apply the quotas. Not more than three people from any country will be able to go to the Olympic Games in any one event. So when we go through that list of Olympic rankings, we’ll be able to see that Brazil has three spots, the U.S. has these three, and so on. Even if there’s a U.S. person in 8th place who would be the fourth guy [on the U.S. Olympic Team], he’s not going to qualify. You move on to the next country on the list who hasn’t met their quota. The whole goal of this system, and what’s required by the IOC and ANOC, the Association of National Olympic Committees, is to have an open and fair qualifying system. This allows anyone in the world the opportunity to qualify regardless of what country they are from or their ability to travel for all of these events. 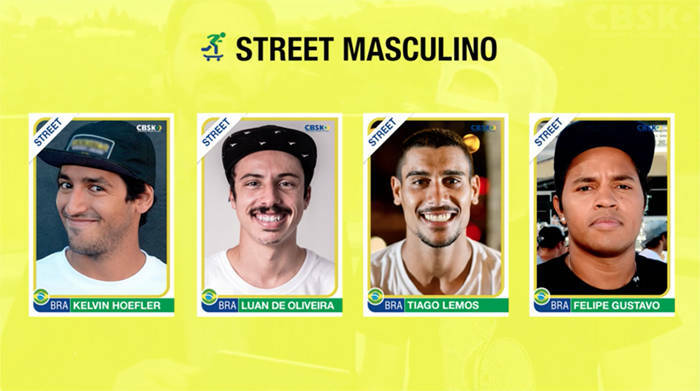 Four members of Brazil’s national team: Kelvin Hoefler, Luan Oliveira, Tiago Lemos, and Felipe Gustavo. Brazil announced an Olympic team that consists of 16 people, eight men and eight women, representing street and park. You’re saying that only three total will actually go to the Olympics? Is it three males and three females, three street and three park? How does that work? Each event in Tokyo will have 20 competitors in men’s and women’s street, and men’s and women’s park. So there will be 80 athletes total. Any country can announce as many people as they want on their teams. But that’s their national team. That’s not the Olympic team. They still have to qualify to be in the Olympic Games. The most skaters that can qualify for any one event is three, so the most possible skaters from any one country would be 12. No country is guaranteed a rider in the games except Japan, as one skater from the host country will compete in each event. There also must be one skater from each of the five continental regions in each event, so if for some reason no one from Africa, for example, made it into women’s park on the rankings, they would take the highest ranked female African park skater and remove the 20th ranked qualifying skater to give them a place in the event. So, anyone that a given country announces is essentially just training for the Olympics. In those countries, the national federations, like CBSk in Brazil, have selected the athletes that they think have an opportunity to compete and do well in Tokyo. Outside of the U.S., all of the sports are funded by the government. By announcing that team, they’re able to support those riders and help them train and get ready for Tokyo. Is SLS the only contest in which the skaters will be able to earn points? I’m assuming we’ll see partnerships with something like Vans Park Series for transition. We’re starting at a National Championship level. So all of the World Skate national federations will be required to host a National Championship each year. Through that, their riders will be able to earn points in the system. Also, there will be continental championships in park for men and women in all five continental regions starting next year. That will be another chance to earn points. The reason for that is that’ll allow people that might not have the ability to travel outside of their region a chance to earn enough points where they’ll show up in those Olympic rankings once you take the quotas into account. Above that level, we’re going to have Five Star Events that will be other professional-level contests. There’s going to be three of those each year in both street and park. And above that is the series—those pro tour events like the SLS agreement that was just announced. World Skate has sanctioned the SLS series and World Championship events through 2022 so they’ll be a part of the Olympic qualifying process. We’re working towards that same plan with park. Outside of the major contests that are broadcast online and on television, is there going to be a way to watch these global competitions to see how all of this is progressing over the next couple of years? 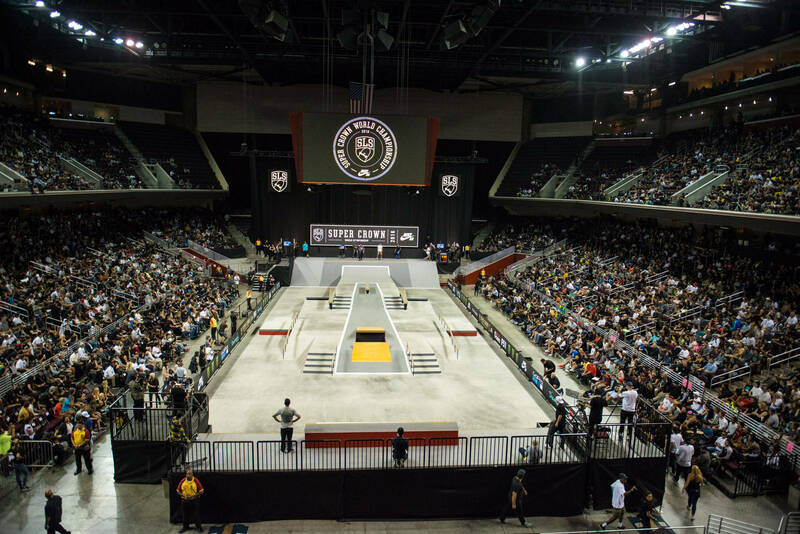 I think that as this all continues to grow—the interest in skateboarding leading up to the Olympics—there will be more opportunities to see events like the International Skateboarding Open that they just had in China. Even though that wouldn’t have been a points-earning event, the level of competiton was pretty incredible, and there’s value in sharing what’s happening all over the world. The end goal in all of this is to have the Olympic inclusion support and grow what skateboarding has created. How are countries handling the buildout of skateparks to host these events and serve as training facilities for their national teams? What happens in the Olympic world is that people want a set of blueprints. They will approach World Skate and say, “Hey, we want an Olympic-certified skatepark.” Our goal isn’t to have a hundred cookie-cutter skateparks all around the world. That’s the last thing we want to see; it’s not good for the progression of skateboarding. By late summer or fall of this year, we’ll have a detailed description of a process that guarantees quality skateparks and allows for the growth and support of skatepark designers and builders worldwide. So, what you’re saying is that there’s literally going to be hundreds of parks popping up around the world as a result of this? Yeah, and that’s one of the really exciting things about this process. As I said: in other countries around the world, governments support sports. Once skateboarding hits the Olympic Games, it changes the entire discussion of adding a skatepark to a city. Because now they say, “Oh, we have some good skaters in this country. We see this as a potential sport that we can develop to win medals in the future.” And that’s what drives so much of the process. But at the end of the day, all it means is more places for people to learn how to skate. The more quality concrete we can help put in the ground, the better for the future of skateboarding. I read an article recently saying that England was having problems financing their Olympic team, or maybe was behind schedule. Are we going to see a truly global representation in 2020, or is it just going to be certain countries? Unfortunately, the politics around national federation recognition and sport funding can be complicated. So we are, on a case-by-case basis, going through and trying to sort them out to the best of our ability through the World Skate side. But we don’t have any direct influence on what the national Olympic committees choose. As an international federation, we can’t tell a national Olympic committee what to do with its money. It’s their call. We can, of course, suggest what we believe is best. In most instances, the NOCs go, “Okay, you guys are the experts. We believe you.” But, in some places, there’s other issues that affect those decisions. 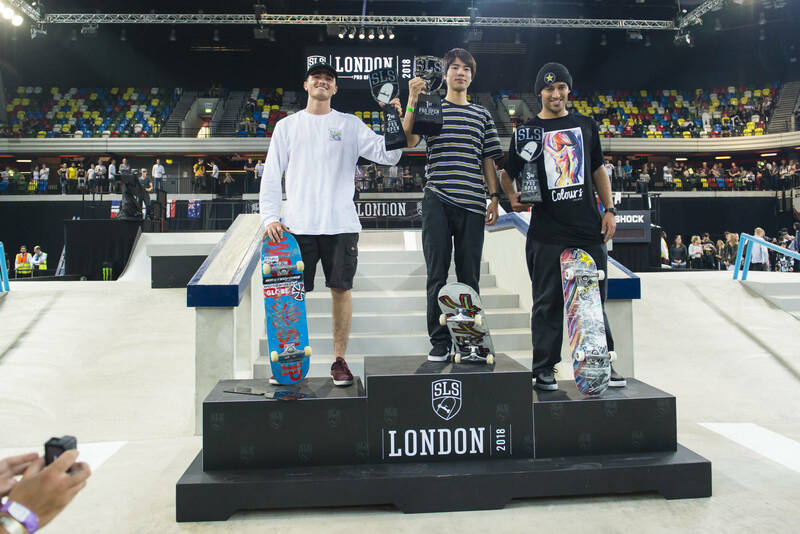 In this year’s SLS Pro Open that just happened in London, Trent McClung was the only American in the Final. We’re seeing guys like Yuto Horigome and Dashawn Jordan almost come out of nowhere and win these contests. And guys like Vincent Milou from France do very well in their first time competing. I think everyone assumes that the Olympics will be dominated by Americans since skateboarding was born here. What’s your take given this new global initiative and all of the talent that’s emerging? The Olympics are adding opportunities and diversity to skateboarding that didn’t exist before. We know skateboarding is global, but with much of the industry based in the U.S. the majority of media coverage you see here is U.S. centric. There are amazing skate scenes all over the world and it’s great that talented skaters will have a chance to shine regardless of where they were born. The SLS men’s final had skaters from five different countries and the women’s had four. With the openness necessary for Olympic qualifying events we’re only going to see this continue to grow. It was great to see Vincent get 2nd in the London Pro Open. France actually has a really good national federation that’s been sending their skateboarders on a lot of trips. It’s been bringing them to the United States to skate, and bringing them around to a lot of other contests to get experience. It’s really starting to pay off for them. When you look at what’s coming out of Japan right now, it’s incredible. Yuto is sick. At that International Skateboarding Open, there were a couple of Japanese kids that I’ve never seen before that were insanely good at skating. The Olympics are providing the opportunity for everyone around the globe to compete. People that might not have had the chance to be in what had been the professional tours so far are getting the chance to be seen on a huge stage. It’s going to allow more chances for skateboarders to earn a living skateboarding. Based on the simulations we ran, our expectation is that the top 10 to 12 people in the rankings are going to be exactly who you expect. It will be the best skateboarders in the world. And then the next 8 or 10 people will be people that performed really well regionally. People that you might not have heard of from some different countries that you’re not used to seeing. What’s the Olympic uniform going to be like? It’s up to the national Olympic committees and national federations in each country. They’re all going to be different. In the U.S. we are still waiting on the USOC to recognize USA Skateboarding officially. Right now, it’s on the calendar for the end of June, but we’re already talking to potential partners about apparel rights. Do you think the U.S. will announce an Olympic team, like Brazil did, in the near future? We know that a national governing body will be selected for skateboarding in the U.S. very soon. Once that happens, there will be a national championship event this year. That will help select the team, along with some developmental riders. If you look at the top guys today, it’s easy to say that these guys are the ones. But it’s really more about having forward thinking and looking at who, with the right support, could break through in the next two years and make a difference. The exciting thing is that it’s equal for men and women. There’s as many women as men that are going to be competing. The opportunity, in the U.S. specifically, to support female riders that don’t have the chance to focus only on skating, because they have to work to earn a living outside of skateboarding. All of this is new, and there’s a lot of moving pieces. What’s been the biggest struggle so far? Our biggest struggle for the first couple of years that we worked on this was getting through the politics of sorting out the agreement with FIRS. That was the biggest challenge and it took away our time and energy from the work that needs to be done. Now that we’re one team working together for the good of skateboarding everything else seems relatively easy. How’s the skate industry coming into play in terms of the Olympics. We’ve seen Nike sponsor Olympic teams in the past. Is something like that on the table for skateboarding? Yeah, we anticipate that one of the big shoe or apparel brands will be a partner of USA Skateboarding. And I know that a lot of those brands are looking at similar opportunities around the world. In this situation, it’s the chance to showcase your riders in front of… the audience for Tokyo is estimated to be five billion people. It’s a unique thing. It’s the first time skateboarding is going to be there, a defining moment in the history of skateboarding. Right now, skateboarding is scheduled to be the very first event you see in the Olympic Games. It’s really incredible when we think about the opportunity we have. What we want to do is share what makes skateboarding special beyond just the competitions. You and I both know that contests are a part of skateboarding. But maybe only ten percent of skaters actually compete. The rest are people that just love it for the art, the lifestyle, or the fun that it provides. That’s what we want to show. And that’s what we want to make sure that we share as we go down this road to Tokyo. How is the overall story of skateboarding going to be incorporated? Obviously, with the Olympics, there’s all of the interviews with people, and behind-the-scenes narratives that lead up to the events. Are there plans for this stuff yet? That’s something that we’re working on right now. Like I said, this is our opportunity to highlight what makes skateboarding special. It’s way more than just a sport that people do, and train to try to win a gold medal. That’s not what created skateboarding. That’s not why the IOC wanted it in the Games. Skateboarding built itself up to a point where the IOC said, “Wait, we need that. That would be great.” So we’re concentrating on the right ways to showcase what makes skateboarding special – the fun, freedom of expression, art, creativity, invention, innovation, progression and passion that have driven skateboarding from day one. I think it’s a bit too early to predict where this is all going after the Olympics. We just have to get there first. So I want to wrap this up by asking you what’s the next major milestone on the road to Tokyo 2020? Tokyo is selecting a course designer around the end of June; we’re working on a sport-delivery plan with them. That’s essentially all of the logistics around making sure these contests work right in Tokyo. There are, as you can imagine, tons of details that have to be addressed. It’s actually great working with Tokyo. They are meticulous, to say the least. We have eleven more trips to Tokyo between now and the Olympic Games. So there’s tons of ground to cover, but we’re getting there. And, starting later this year, there will be an official World Skateboarding Ranking system for both street and park. The World Championships this year are going to be totally open events, and they are going to be used to seed riders moving into the 2019 qualifying season. With SLS and all of the sanctioned events, there will have to be open qualifiers. You can’t have a limited field when you’re trying to have open and accessible competitions. We’re also going to be launching the new World Skate website, worldskate.org. It launches on June 21, Go Skateboarding Day. That, along with our social media which is @worldskatesb, will be the place where we’ll be able to interact and share all of the information that’s coming up. That’s something that we’re working on right now. Like I said, this is our opportunity to highlight what makes skateboarding special. It’s way more than just a sport that people do, and train to try to win a gold medal. That’s not what created skateboarding. That’s not why the IOC wanted it in the Games. Skateboarding built itself up to a point where the IOC said, “Wait, we need that. That would be great.” So we’re concentrating on the right ways to showcase what makes skateboarding special. Tokyo is announcing a course designer at the end of June; we’re working on a sport-delivery plan with them. That’s essentially all of the logistics around making sure these contests work right in Tokyo. There are, as you can imagine, tons of details that have to be addressed. It’s actually great working with Tokyo. They are meticulous, to say the least. It’s been a good process so far. We have eleven more trips to Tokyo between now and the Olympic Games. So there’s tons of ground to cover, but we’re getting there. We’re also going to be launching the new World Skate website,worldskate.org. It launches on June 21, Go Skateboarding Day. That, along with our social media stuff which is @worldskatesb, will be the place where we’ll be able to interact and share all of the information that’s coming up. We know that there’s been a lack of information coming from the international side. And it’s really been because we spent so much time on what it meant to be integrated into this new federation set-up. The site will be the hub of all of the information. And, starting later this year, there will be a ranking. The World Championships this year are going to be totally open events, and they are going to be used to seed riders moving into the 2019 qualifying season. With SLS and all of the [other] partners, there will have to be open qualifiers. You can’t have a limited field when you’re trying to have open and accessible competitions. The announcement comes with a minute of new footage. HOW FAST CAN DUNCAN BYRNES PRIMO SLIDE?! A double dose of Gillette.